Cherry mechanical key switches with a single key life up to 50 million operations, are durable and reliable in the game. Non-conflict design for 104 keys on the keyboard, allows you to press any number of keys simultaneously and ensures that your every command is registered and executed exactly and rapidly. Non-conflict design for all keys on the keyboard, allows you to press any number of keys simultaneously, ensuring your every command is registered and executed exactly and rapidly. 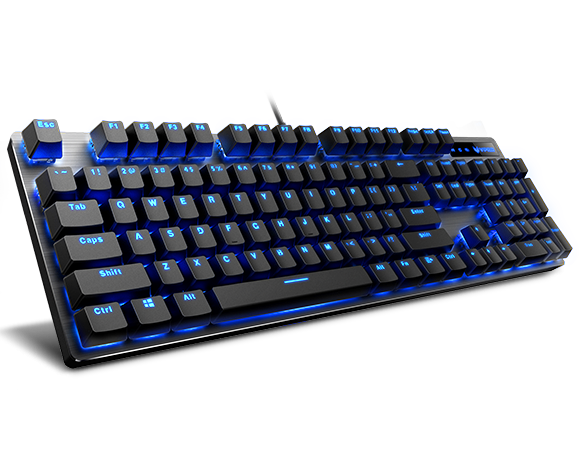 Blue backlight with adjustable brightness, makes your keyboard cooler.